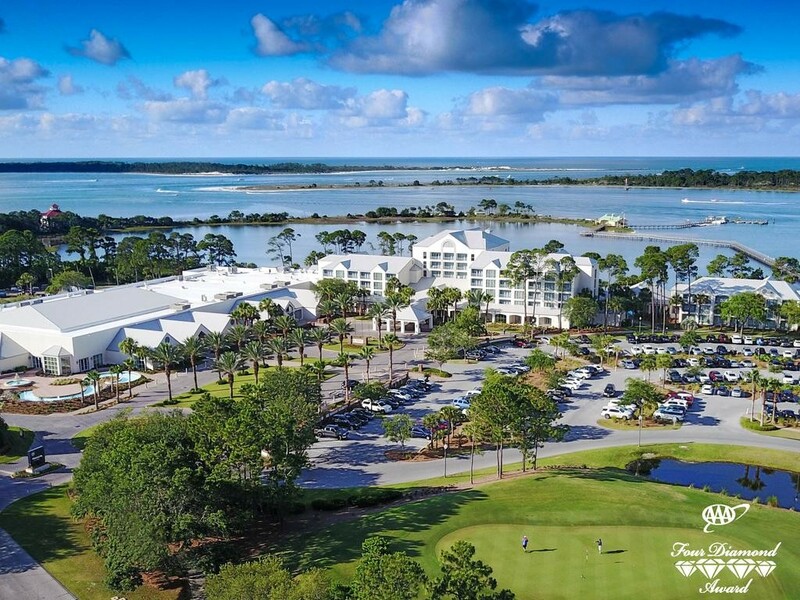 Tucked away in tranquility overlooking the serene saltwater tidal estuary of St. Andrew’s Bay flanked by Florida’s most popular State Park and 7 mile barrier Shell Island in the distance, Sheraton Bay Point Resort is also just a shuttle bus away from the bustling beach front strip of Panama City Beach. 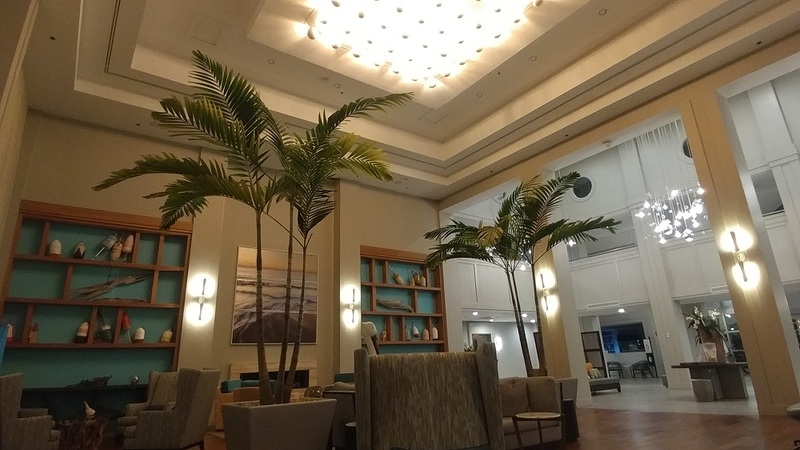 Originally built and operated under different brands, Sheraton took over the Bay Point Resort in 2015 with a $30 million overhaul redeveloping this quintessential vacation destination into Panama City Beach’s only AAA 4 Diamond resort. Every aspect of the property was re-examined and re-purposed to maximize views and enjoyment of the natural beauty outside. Modern design embraces floor to ceiling windows allowing loads of sunlight inside while exuding a beach front home ethos with décor like buoys and paintings by local artists in the common areas and lobby. Their Market Place adjacent to the reception area offers essentials you may have forgotten like towels & sunscreen or local crafts like hand dipped soy wax candles and knit scarves interwoven with shells. 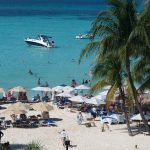 The resort’s existing footprint was retrofitted in certain instances like with the conversion of an indoor pool area into Flip Flops, an open-air bar and patio that can be enclosed during winter months. Right next to the patio, a now much larger outdoor heated pool and sun deck overlooks the Bay. 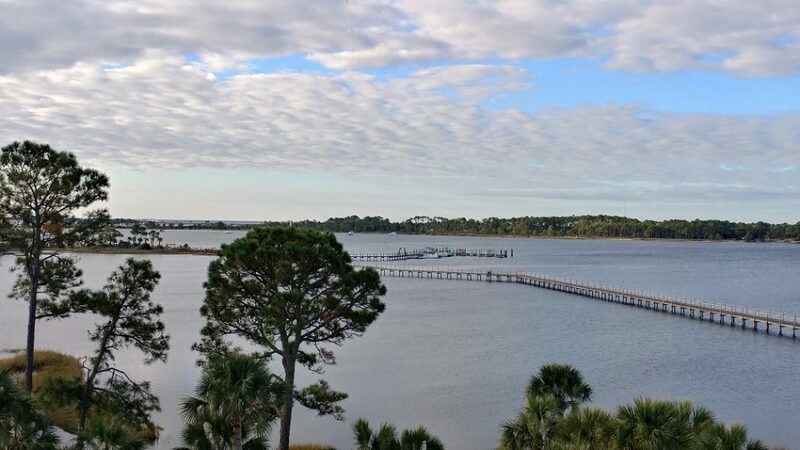 Beneath swaying palms and Slash pines, you can actually sit outside just several yards away from the water’s edge and watch skip jack sporadically jumping into the air as stilt legged water birds poke their long bills in the shallows. It’s comforting to know that Sheraton Bay Point partners with St. Andrew Bay Watch to preserve this fragile ecosystem. 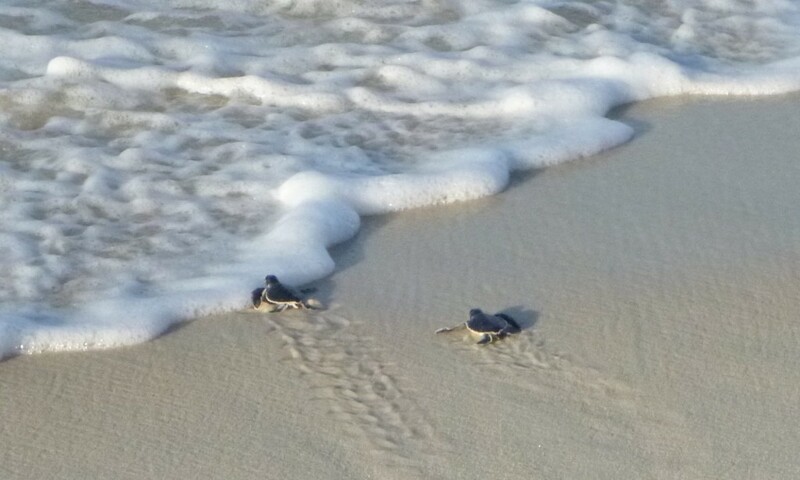 Guests are invited to participate in hands-on exposure helping baby sea turtles, learning about the crucial role of sea grass beds, and participating in shoreline and shellfish bed restoration. 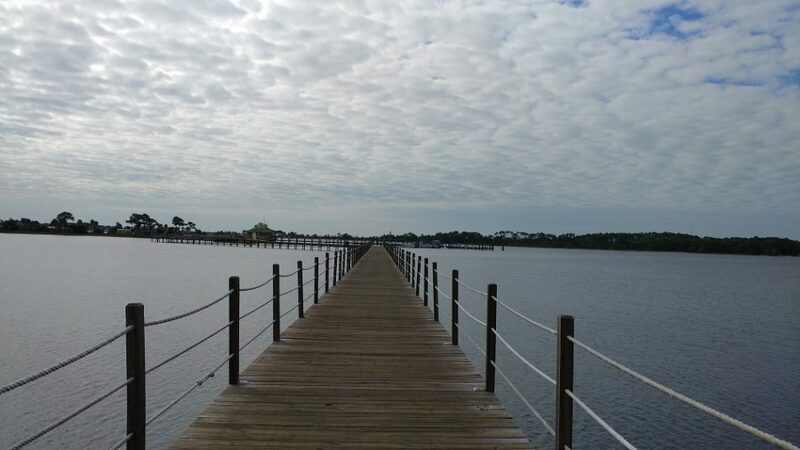 Walking down their sprawling wooden pier to the sandy shores of Private Bay Beach is like entering your own island escape. Hammocks and chaise lounges await along with a sand volleyball court overlooking calm waters perfect for kayaking and SUP YOLO paddling. 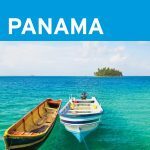 Underneath the caressing shade of swaying palms, Hammocks Beach Bar exudes that castaway island vibe serving up ice cold blender drinks and beer on a wood planked counter. 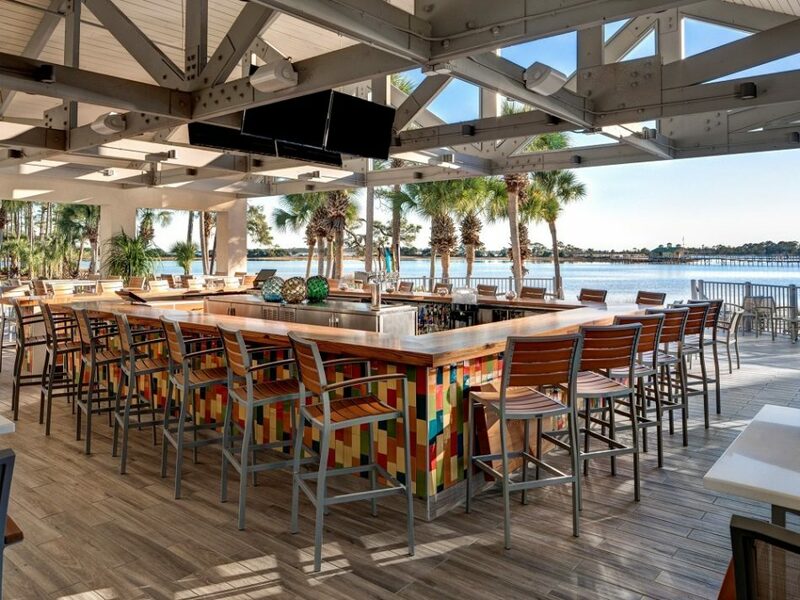 Situated at the end of the pier surrounded by water on 3 sides, Pelican’s open-air deck is another option to hang out while waiting for your jet ski reservation or the next Bay Point Lady boat ride to Shell Island. 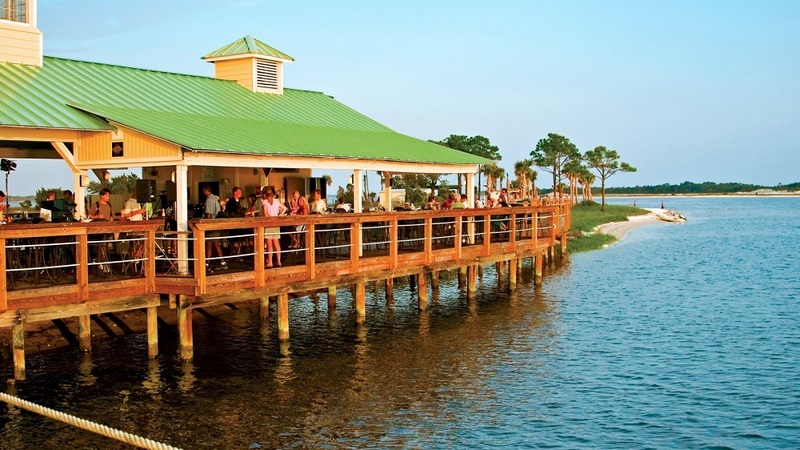 It’s also a great place to catch live music long past the final rays of the amazing Gulf Coast sunsets. 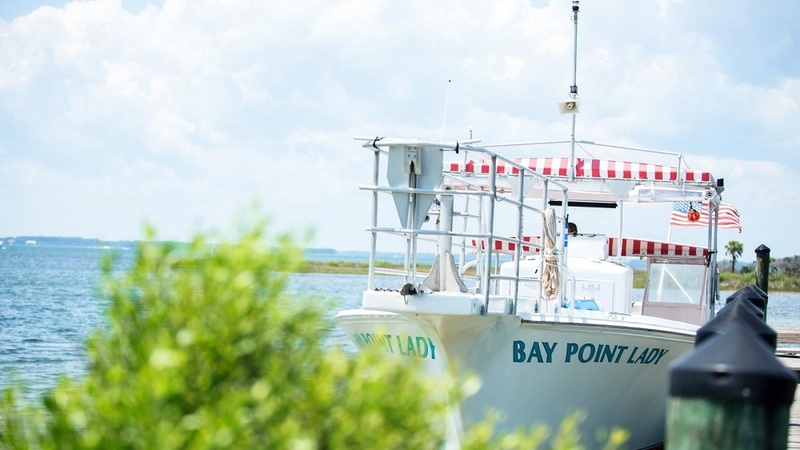 Often surrounded by dolphins playfully surfacing, 34 foot long Bay Point Lady provides daily scheduled boat trips through St. Andrews Bay to 7-mile Shell Island, a pristine stretch of sugar white sand on the Gulf Coast backed by preserved saltwater marsh. Beach umbrellas, chairs, and snorkel gear can be rented on board to better outfit your excursion. Helming the kitchens behind Sheraton Bay Point’s 5 distinctive on site dining venues, Executive Chef Shane Miller draws inspiration from his childhood in the Louisiana Bayou learning the secrets of perfect New Orleans roux in his “Maw Maws” kitchen. 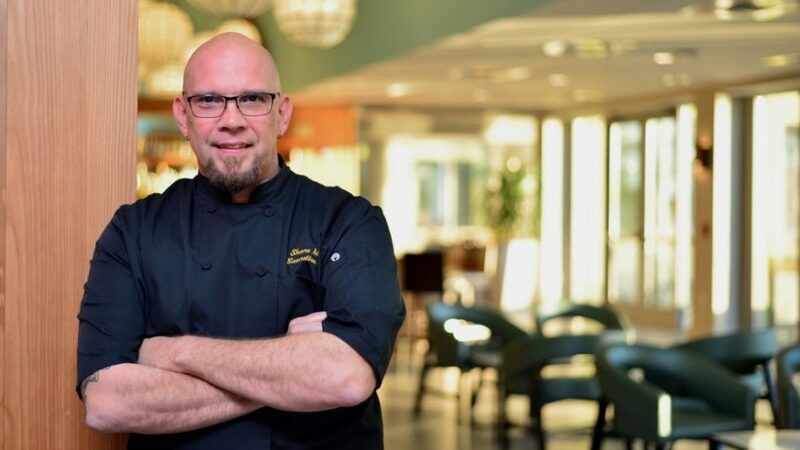 Now a celebrated chef with winning appearances on Food Network’s Cutthroat Kitchen and Guy’s Grocery Games, Chef Miller brings his bold flavors and diverse experience to signature dishes like Gumbo Ya-Ya and Gulf White Shrimp & Grits served up at Tides Restaurant, the resort’s marquee dining venue. The menu at Flip Flops reflects a casual poolside version of Tides menu serving up day boat caught shrimp salad along with customized craft cocktails and local brews on tap. 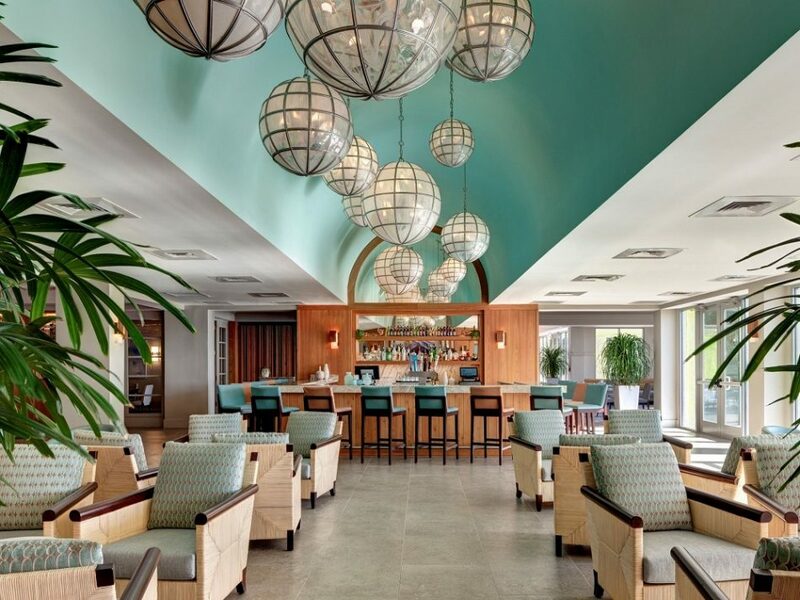 Perfect for happy hour or catching a game on one of their giant flat screen TVs, this open-air gathering spot truly allows you to sit down in your bathing suit right after getting out of the pool. 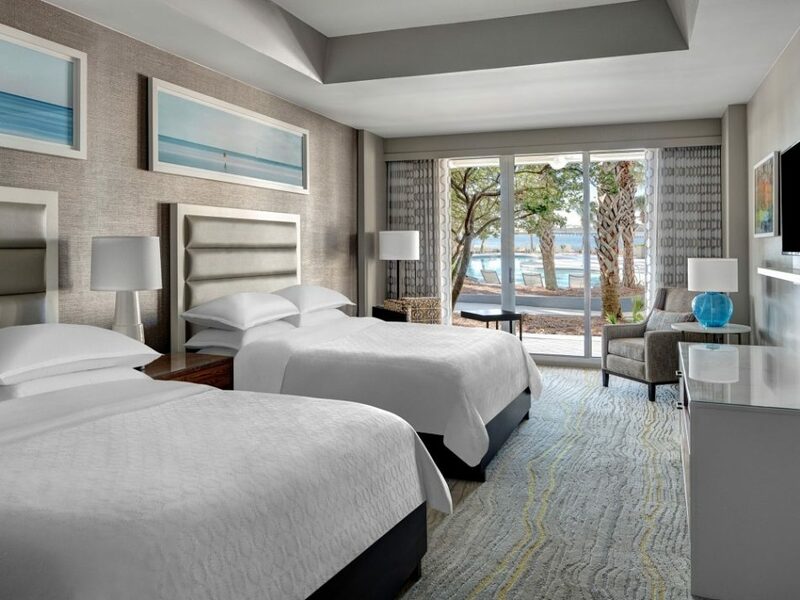 The main resort’s 320 completely refurbished rooms feature suites as well as Bay View and Deluxe Pool rooms with first-floor walkout access to private patios and the pools. Next door, 60 one and two-bedroom Golf Villas overlook Northwest Florida’s only 36 hole Nicklaus Design golf course. 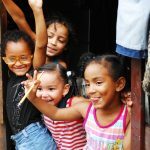 Rooms come with outfitted kitchens, dedicated pool, laundry facilities, and playground making them perfect for larger families, groups, and longer stays. Meeting and large events like weddings are amply accommodated with more than 60,000 sq. ft. of indoor/outdoor flexible space accommodating groups up to 750 people. A pavilion outside surrounded by a lush 9,000 sq. 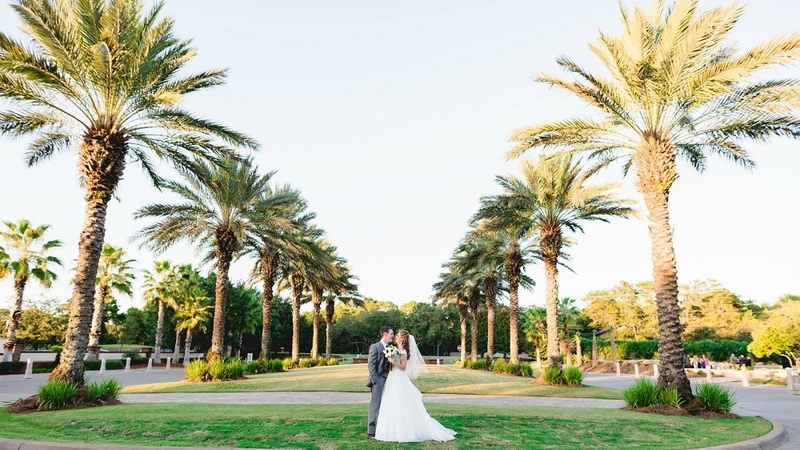 ft. lawn provides the ultimate panoramic Bay view backdrop for exchanging vows. 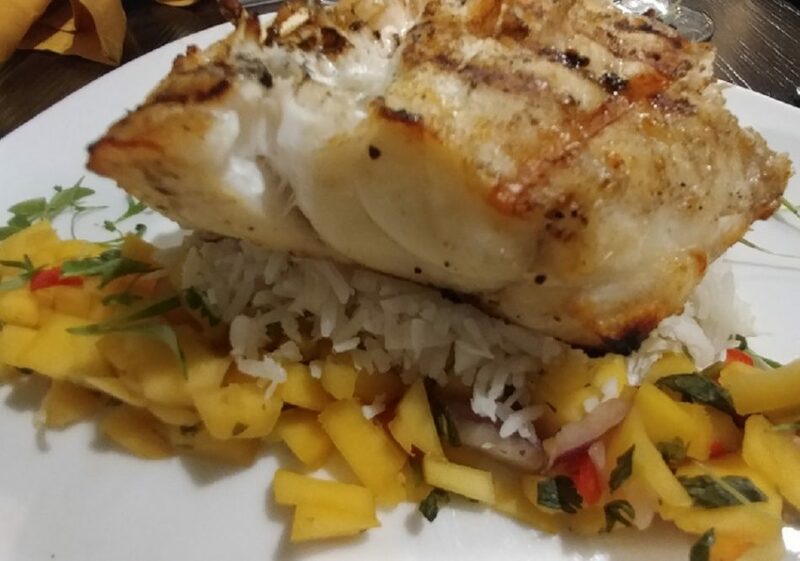 Photos courtesy of Sheraton Bay Point Resort & Steve Mirsky. Coverage made possible by participating in a sponsored visit. Hello, I desire to subscribe for this blog to obtain newest updates, therefore where can i do it please help. We enjoyed your article very much along with the fantastic photos, Steve. 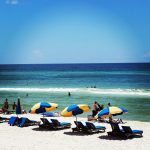 We are ‘snowbirds,’ so this winter season we’ll consider checking out Panama City Beach. 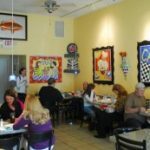 We have relatives in Huntsville, AL – so I’ll forward your article to them. Thanks for the info.